That must have been the worst week of the year for anyone visiting Tenerife and those of us who live here are certainly glad to see the back of it. Apart from the Spanish air traffic controllers’ strike adding misery, the week was book-ended by storms.Last weekend’s tropical storm levels causing havoc in places, especially the north coast and the high lands. Another, less severe storm hit Tenerife this weekend, bringing hot, rainy weather and wind. 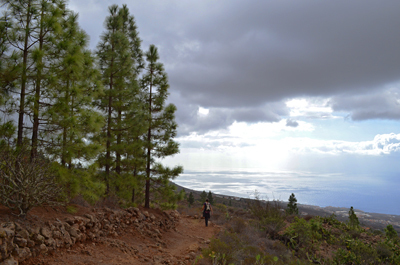 Once again, the direction the storm came from meant that the rain predominantly fell in the south of Tenerife. This time the north coast got off lightly, experiencing windy weather rather than storm force; in fact ended the week with a gloriously hot, sunny day. Despite the bad weather there was still plenty of sunshine to be had on Tenerife and from the second half of the week we experienced beautifully sunny mornings. 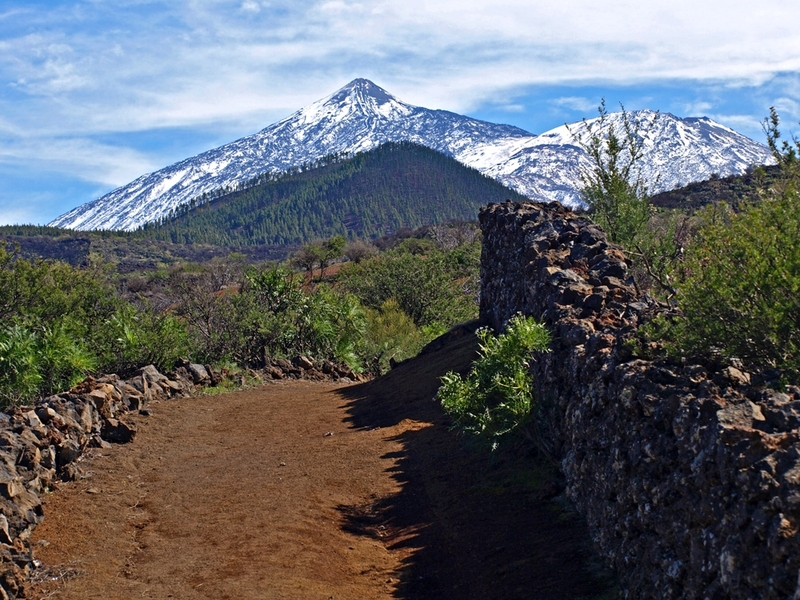 The upside to the bad weather is that Mount Teide is looking pretty as a picture clad in a festive overcoat of thick snow. 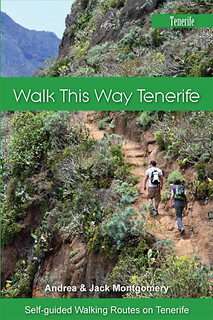 The bad news is that the unsettled weather continues across all areas of Tenerife with rain being forecast for every day. The good news is that sun is also forecast for every day as well. That’s Tenerife weather at the moment – complicated. 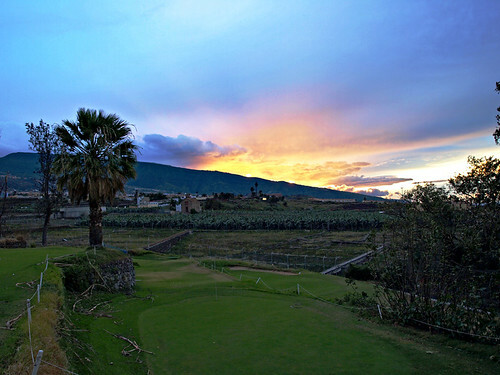 Weather in South Tenerife – A mix of cloud and sun every day with between a 50 to 100% chance of rain. Temperatures should be around 24C. 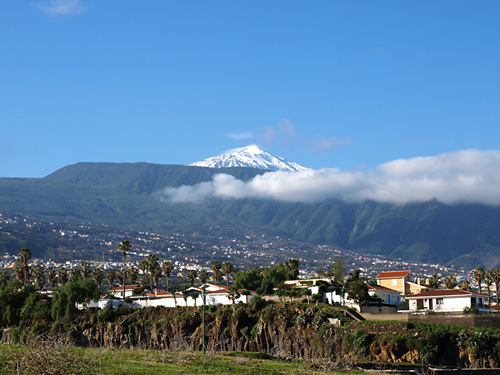 Weather in North Tenerife – Similar to the south with a mix of cloud and sun every day with between a 55 to 100% chance of rain. Temperatures should be around 23C. 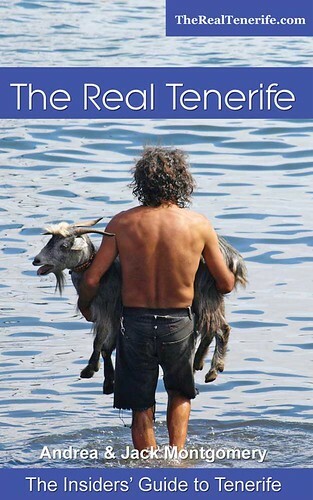 Weather in South West Tenerife – Again the same. A mix of cloud and sun every day with between a 50 to 100% chance of rain. Temperatures should be around 24C. 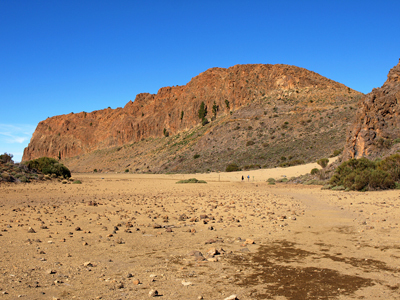 Weather in the Mount Teide Crater – Definitely not a week for visiting the crater. Apart from strong winds ranging from 45kmh in the crater to a serious 80kmh on the summit, there is rain forecast for Wed, Thurs and Saturday in the crater and snow on the summit every day except Friday. Tuesday and Friday should be sunny, but very windy. Temperatures in the crater should be around 10C dropping to -3C at the summit. At the moment the cable car is not running. So far today it’s calm and dry on the north coast and a snow covered Mount Teide is in full view. 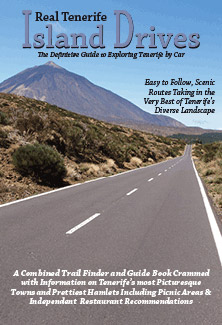 But the cloud is above Teide’s summit and that generally means that it is cloudy most places. Webcam pictures seem to confirm this with the bulk of the cloud piling up on the southern side of the island and possibly rain in La Laguna.